Don't let chipped paint distinguish your home. 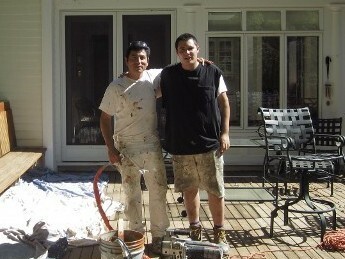 Instead, be the envy of the neighborhood with the help of Santiago & Son Anthony Professional Home Painters. Our staff listens to your needs and preferences and aims to meet your design and aesthetic needs. We never take shortcuts and never leave a job until it meets your expectations. We look forward to speaking to you about your paint project, no matter how big or small. Schedule your free estimate today to see how a new coat of interior or exterior paint can instantly add life and value to your home. The home painting contractors at Santiago & Son Professional Home Painters have been serving Massachusetts, for more than 15 years. Our residential painting company has more than 25 years of experience making houses beautiful.